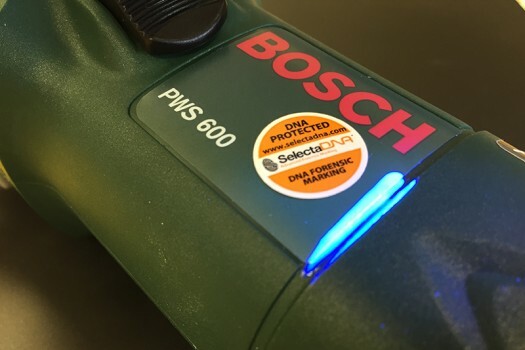 The Protection + DNA Kit contains TESA labels along with a DNA Forensic Property Marking kit to mark your plant, tools, machinery and equipment to protect them from theft. SelectaDNA property markers contain thousands of microdots which allow police to identify property at the scene in a matter of seconds. This product is tested to the industry standard PAS820, achieving the highest Grade A External rating, and is Thatcham approved. Criminals view items marked with SelectaDNA as too high risk and are put off from stealing them as they have little or no resale value. Using SelectaDNA to mark your property is the ultimate theft and robbery deterrent.